Over the weekend the Senate overwhelmingly passed a the mortgage bailout bill that includes a government rescue plan for mortgage finance giants Fannie Mae and Freddie Mac, grants to states to subsidize local real estate markets and extends government protections for refinancing troubled mortgages. The legislation amounts to one of the most far-reaching government expansions in the real estate and financial markets in decades. Surprisingly, there has been very little public discussion of the details. So what does the 700 page bill do? We&apos;re not sure anyone knows since hardly anyone--perhaps no one at all--has read the entire thing or had a chance to evaluate how it will interact with existing laws. Here at DealBreaker we&apos;ve discerned a few of the lowlights at Bailout Bill. (If you want to read the bill, click here and God bless you.) After the jump, we run through them. 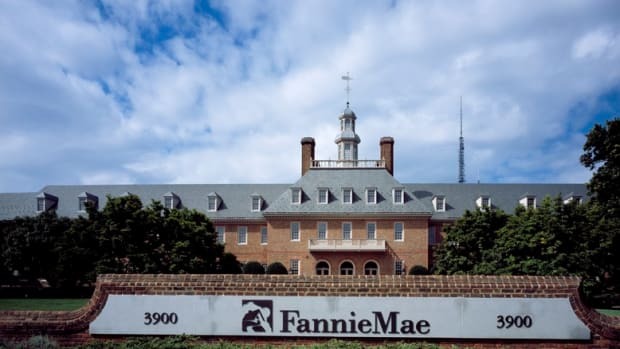 •A Blank Check For Fannie And Freddie Bailout Forget what you might have heard about the Senate insisting that the Treasury&apos;s ability to bailout Fannie and Freddie be strictly limited or include protections for taxpayers. This bill makes the once implicit government guarantee of Fannie and Freddie&apos;s senior debt obligations explicit, provides no protections for taxpayers and no cap on a bailout. If the real estate market continues to decline it will drag Fannie and Freddie down with them, and they will drag the taxpayers right along. Hank Paulson, say hello to your legacy. •Give Fannie And Freddie A Bigger Role In The Housing Market. Common sense would imply that the failures of the government sponsored mortgage giants would result in the government seeking to restrict their role in the housing market. The Bailout Bill does the opposite, of course. It increases the cap on the size of mortgages that Fannie and Freddie can guarantee to from $417,000 to $625,000. •Block Grants to States to Buy Foreclosed Properties. The Bailout Bill grants $4 billion to states to purchase foreclosed properties. This part of the bill doesn&apos;t even pretend to benefit troubled homeowners since it only applies to properties that banks have foreclosed on. Instead, it is a naked subsidy to the mortgage lenders. What&apos;s worse, the state governments, all too often in the pockets of property developers, will most likely sell the properties at steep discounts to developers. The states have little incentive to drive hard bargains with developers since they for all intents and purposes got the property for free since it was bought with federal money. Every dime on the dollar they pocket is profit for state treasuries. This has honest graft written all over this. •Promote More Risky Mortgages. As defaults have risen beyond their historic levels, reckless mortgage lenders such as Indymac and Countrywide have collapsed while the survivors have become more cautious about who gets mortgages. The Bailout Bill fills the recklessness gap by increasing the Federal Housing Authority&apos;s role in the loan market, raising the maximum loan limits for FHA conforming mortgages to $625,500. •Encourage The Great Homeownership Experiment. The mortgage crisis got started as a housing boom as government regulations, low interest rates and subsidies grew homeownership from levels sustainable by the market to levels unsustainable by anything but wishful thinking. But why let that stop us? The Bailout Bill provides a tax refund for first time home buyers for up to 10% of a home&apos;s purchase. This is more of the social engineering, ownership society meddling, that got us in this trouble in the first place. It will encourage renters to buy homes, many of which they will be unable to afford. It is, in effect, a subsidy to home builders and current property owners. •Increase down-payment requirements for FHA loans. Against all odds, the Bailout Bill actually does strike at the toxic "down-payments are nonsense" culture that helped cause the mortgage mess. Sadly, the increase in the down-payment requirement for FHA loans is tiny, from 3% to 3.5%. The bill also pretends to eliminate a program that has allowed sellers to pay part of this down-payment. But we&apos;re told by savvy realtors that they are already at work designing workarounds to accomplish this regulatory dodge through loopholes that lobbyists have already built into the bills. •More Ineffectual Regulation For The GSEs. While there will be a lot of talk about tougher regulatory oversight for Fannie and Freddie, this is just smoke and blather. The Treasury and the Federal Reserve lacked the stamina to squeeze serious concessions from the GSEs, even in the midst of their imminent collapse and even with a Republican administration&apos;s threat to veto this bailout bill and legislative support to sustain the veto. How will a new regulator effectively stand up to political pressure? There&apos;s no need to speculate about whether the GSE&apos;s will "capture" their regulator. They already have.